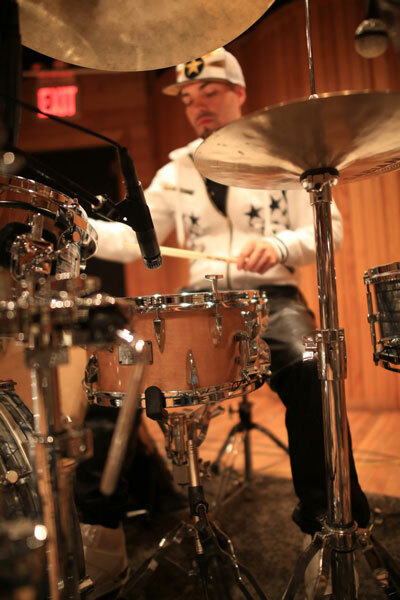 NEO VINTAGE M4 is based upon the technology and specifications of some outstanding drum designs from the 1970s. Its unique design features 12 tension rods on top and 6 on the bottom. A 5 ply maple and thicker poplar shell construction, and Canopus’ precision bearing edge shaping, combine to create a characteristically “mellow and dry” vintage sound. With these specifications – providing a blend of tight attack and a comfortable, loose reverberation, it is a totally unique instrument. Certainly, this conspicuous sound will be highly prized and sought-after by a great many drummers. Not long ago, we took a look at the Canopus Yoshihito Eto signature snare drum (go check out the review and watch the video – excellent drum). 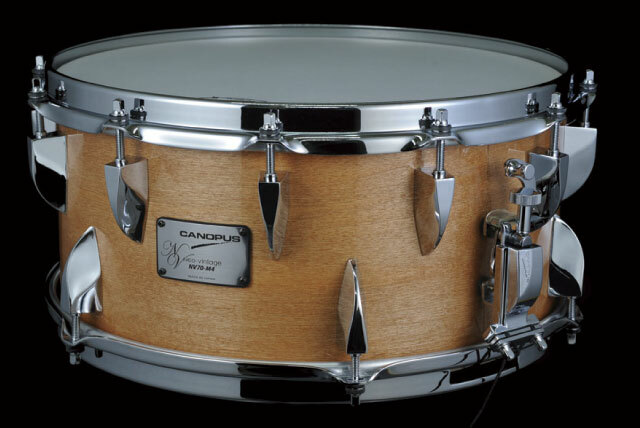 In that same shipment, the good people at Canopus were nice enough to ship over two drums from their Neo Vintage series. Each of the snares in this series recalls a notable vintage drum design or aesthetic, but updates it with modern appointments. Really, they all seem a little outside the box conceptually – in a cool way.